New York : Tennis star Serena Williams has been fined $17,000 by the organizers of the US Open for committing three violations of the code of conduct during the second set of the women’s final, which she lost on the weekend to Japan’s Naomi Osaka 6-2, 6-4. 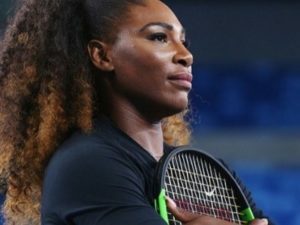 Williams was sanctioned in the second set by the judge seated at the net, Portugal’s Carlos Ramos, for receiving help – in the form of a hand signal – from the box of her coach, Patrick Mouratoglou, breaking her racket against the court surface and verbally abusing the judge by calling him a ‘thief’, reports Efe news. 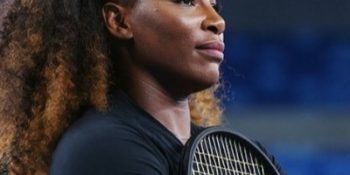 Williams, who was fined on Sunday, called the judge’s decision “sexist” at a later press conference, saying that she had seen male players calling umpires “several things” but they were not penalized for their behaviour. Her actions eclipsed the triumph of the 20-year-old Osaka, who became the first Japanese tennis player to win the US Open and a Grand Slam single’s tourney. The US player, 36, who was competing in her 14th US Open, failed to win her seventh title in the season’s last Grand Slam event, a win that would have been the 24th of her career, thus allowing her to tie the legendary Margaret Court of Australia in terms of tourney wins.